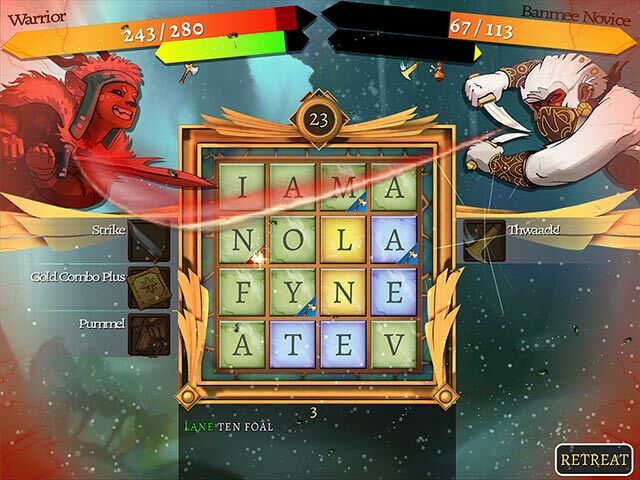 Rated 5 out of 5 by Gamer_Geek from Engaging RPG Word Game This is a fighting game similar to Letter Quest and each fight is timed. You have 3 characters to play as, each having different skills, powers, and difficulties (so you can play this game 3 times with 3 distinct experiences). Lovely graphics and interesting stories (though I doubt the stories will change with multiple play-throughs); the stories are well written (no typos or bad grammar). Rated 3 out of 5 by ninja226 from Scrabble duels This game is off the beaten path, but will appeal to those who like the Scrabble game. A good game for kids to learn and make words. The game is divided into 3 parts: --Campaigns, ie spelling duels (make as many words as possible and blast the foe when you have acquired enough power, from casting words) This is in timed mode, and there is no option to go untimed, but the levels played progress from easy to hard. I liked this mode the least. It's also the longest, as it is comprised of quests, and is basically an endless loop of making words. --Obelisks (make a word starting with each letter tile in a grid of 4x4) Buff up on words starting with "u". UPRATES is a word, believe it or not. --Runes (make words from 4x4 grid of letters, each tile can only be used once) Obelisks and Runes are under "minigames" section. There might be 30 quests under Obelisks and Runes. I enjoyed this part of the game the most, as it is untimed. However, when you complete all quests under these sections, the computer freezes and you cannot click on an exit button and have to get out by using the Task Manager. The artwork is OK and reminiscent of kiddie cartoons. Not much special effects. When you play on Campaign mode, you win the ability to view pages in a book/diary, which is elaborately detailed about an imaginary world--I found this completely boring, uninteresting, and not much of a reward. It's not a bad concept for a game, but devs need to up the game by providing better eye candy rewards like building castles, beautiful scenes, interspersed with HOPs, jigsaw puzzles, etc. As it is currently, I do not believe this game will have broad appeal. Rated 3 out of 5 by trifle from A Battle for Words? I liked the basic Boggle type game. Hated the whole story attack theme didn't bother to read any of the pages. I appreciated the power aspect but basically kept using the same two. Every now and then it would freeze and I would have to exit the game. I loved the timed word aspect that is the best part the rest...was just getting in my way of playing. Rated 3 out of 5 by pennmom36 from I Love Word Games But I Want To Take My Time And Spell The Most Creative Words Possible This is Bookworm with a timer, and I love Bookworm because I can search for words that are unusual, uncommon and large. You just don't get the chance to do that with this game because it is battle based, and you only get a couple of minutes to find the specified amount of words, while at the same time, clicking your power ups to fight a battle every time the meter fills. I just wished that this game offered an untimed mode, or at least gave you more time per level. I like word games that are relaxing not intense, and although I understand some gamers have a need for speed, I just wasn't diggin' this game. I wasn't even interested in finishing the demo, however, it was really nice seeing a Word game offered today, hopefully Big Fish will continuing offering Word type games, it been way too long of a wait! Rated 2 out of 5 by LunaNik from The pen could be mightier than the sword, if they stopped bothering me long enough to write with it. This is less a word game than an RPG combat game in which your “weapon” is making as many words as you can in a short period of time. The first problem, from a word game fanatic’s viewpoint, is that there is no time for lengthy, elegant words. You’re stuck spewing out as many three- and four-letter words as possible. There’s no fun or challenge is finding “let, met, pet, get.” The satisfaction lies in finding “peach,” then “impeach,” and finally “impeachment.” The second problem is that, while you’re concentrating on the letter grid, battle icons are flashing at you to click them, you’re supposed to pay attention to power meters filling up and life meters depleting, and the timer’s counting down an extremely brief round. It’s like being in the library trying to read while a dozen people are arguing, the lights are flashing on and off, and a helicopter’s landing on the roof. 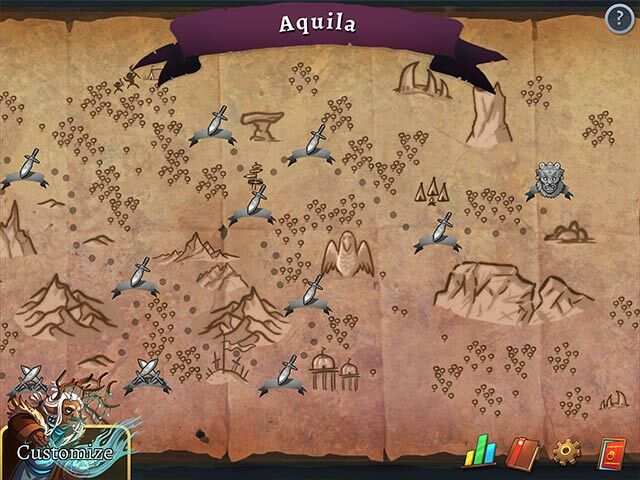 Rated 2 out of 5 by tollermama from Spellcaster This game is not for me. I enjoy spelling but don't like to have to constantly defend myself while searching for words. I also think this promotes just making the quickest words possible and I think defending takes away from the challenge of the words themselves. I would prefer to get a star rating for making longest words or words with harder letters rather than tapping powers while choosing letters to make words the fastest. Rated 2 out of 5 by jkuci from This is a time limit spelling game Ok, The description blurb DOES say you have to make as many words as you can as fast as you can. I just didn't notice that until I tried the game. It made me instantly nostalgic for Bookworm. 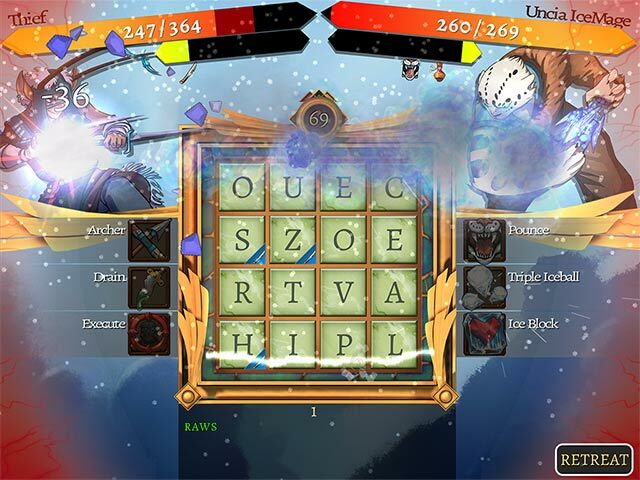 If you don't mind the timed aspect, this is a pretty good turn based battle type spelling game that makes you connect the letters on a grid into words by a mouse sweep. In other words the letters must be touching or you can't pick them. I didn't enjoy it due to the time limit issue but you should try it to see if you enjoy it if you like spelling games. Rated 1 out of 5 by samysam1313 from Worst Game I Ever Tried I usually always finish the trial version of a game but this one I only played for about 10 minutes and that was enough for me. I hate timed games but this game is even worse since it constantly interrupts you in the middle of making a word and it didn't even take a lot of the words I put in. It's the Daily Special but I wouldn't want it even if it was free. Goes to show not all reviews line up with a persons' own idea of fun. I sure don't understand the 5 star reviews for this game. Always a good idea to do the trial game first. I have played word games before like Bookworm and that one wasn't bad but this one is nothing like that. Rated 1 out of 5 by krazykk53 from Don't bother I love word games and this one was REALLY BAD ! The instructions were not clear at all. Many words were not counted because their dictionary was too small. The violent premise was unbecoming and the graphics were circa 1960. cartoons. Rated 1 out of 5 by CyndiLouWho2 from Love word games but NOT this one Honestly, I liked nothing about this game, which is sad. The first thing that bothered me were the poorly drawn and gaudy graphics. They were distracting and hard on the eyes as I was trying to form words. Game play is timed and I had to quickly form words before my enemy did. This forced me to hurriedly pick 3 and 4 letter words instead of having time to think of better, longer words. Instructions were terrible and confusing and there is constant movement around the playing board. I never did figure out what my goal was or what was happening. 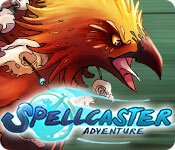 Others will give this five stars I'm sure, but I found Spellcaster totally frustrating to play.